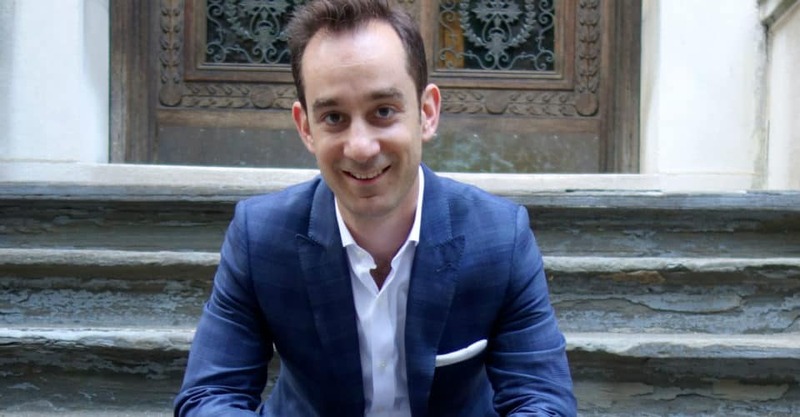 Andrew Rigie is the Executive Director of the New York City Hospitality Alliance, a trade association formed in 2012 to foster the growth and vitality of the industry that has helped propelled the city to be a top hospitality destination. Rigie grew up working in the hospitality business, working at his family’s bakery and cafe in Queens, New York. Destined for a career in the sector, he has held multiple positions within the industry before joining the New York State Restaurant Association (NYSRA) in 2004. It was with the NYSRA that he recruited and served members by providing resources and consulting services to NYC’s restaurants, chefs and industry providers before becoming the Executive Vice President of the New York City operations in 2009. Armed with an extensive inside and outside knowledge of the industry, Rigie became the founding executive director who launched the independent New York City Hospitality Alliance in 2012. In addition to his executive duties there, he serves on multiple committees relating to hospitality and is an active industry advocate and recognized commentator and contributing author to major media platforms. Rigie is a graduate of the Institute of Culinary Education in Manhattan. New York City Food Policy Center (FPC): You were born into the hospitality business and worked at your family’s third generation bakery in Queens, NY. Was there ever another career path that interested you, or did you always want a career in the food and hospitality industry? Andrew Rigie (AR): I always worked in food service and wasn’t sure what kind of career I wanted. In college I studied advertising and political science. I had brief stints selling advertising on shopping carts, in real estate, and I dabbled in a few other jobs too. But no matter what I did, the food service industry always pulled me back in, and it eventually landed me in culinary school and set me up for my career trajectory. FPC: According to its mission statement, the NYC Hospitality Alliance “supports pro-growth public policy, encourages investment in and promotion of NYC’s hospitality industry, and evaluates the development, implementation and fairness of relevant government regulations.” Is there one policy you’d like to see implemented that would change the restaurant and food space in New York City? AR: There are so many policies that make it challenging to run a successful restaurant in New York City. So, I don’t think there’s one solution that would change the industry. There must be a fundamental change in the way government regulates and supports the restaurant industry. Since labor and real estate are two major financial and operational influencers determining if a business will succeed, the city and state could implement tax credits for hiring and to offset real estate taxes that commercial tenants pay even if they rent (rather than own) the space. FPC: Do you think restaurants play a role in creating a more sustainable food system in our city? And, if so, how? AR: Absolutely. Restaurants have a lot of influence on our food system because of the industry’s purchasing power. We can help support local farms and work with companies that implement sustainable business practices. Chefs have created a lot of public interest and awareness about food quality and sourcing, which has played a tremendous role in supporting and raising awareness of our food system. FPC: Local food has been a top trend in the North American restaurant industry for several years, and plant-based food sales are on the rise. Are NYC restaurants staying on pace with this trend? Is sustainably-sourced dining changing the landscape of restaurants? AR: Sustainability has been front and center for years at New York City restaurants, and plant-based food trends continue to grow in popularity. I have no doubt these will continue to be major trends, but I am concerned that as overall operating costs increase, some restaurants may be forced to reduce spending on sustainably-sourced foods and products. FPC: Are there regulations that require restaurants to seek organic certification if they use the term “organic” on their menu or in their name? Can we trust that an organic restaurant is really organic? AR: I’m not aware of a certification that restaurants must receive. Restaurants usually rely on what their suppliers tell them is organic, similar to a consumer purchasing a product from a grocery store. FPC: The NYC Hospitality Alliance successfully advocated for Int. No 1514, a local law creating an online food portal that will help facilitate donations from restaurants and others to feed hungry New Yorkers. Can you tell us a little more about what the law will do and how implementation is progressing? AR: Many restaurants donate leftovers to food-rescue organizations like City Harvest. However, restaurants may not always have the minimum amount of food required by certain organizations to accept a donation. This portal will better allow those with food to connect in real time with those who can collect it. Now that the legislation is signed into law, it’s my understanding that the city is developing the portal. FPC: Chefs such as Jamie Oliver, Dan Barber, and José Andrés have harnessed their celebrity status to promote healthy eating, raise awareness of food waste, and combat food insecurity. What other NYC chefs or restaurants are serving customers while also serving the needs of their community? AR: Countless chefs and restaurateurs are serving their communities, whether it’s sourcing from local greenmarkets, supporting local school programs, hiring people from underserved populations, and/or drawing attention to other important issues. So, while the celebrity chefs are often in the headlines, there are many unsung heroes running local restaurants and supporting the community in countless ways. FPC: A 2014 study by the Food Waste Reduction Alliance found that 84.3 percent of unused food in American restaurants ends up being disposed of, while 14.3 percent is recycled, and only 1.4 percent is donated. Is food waste a recognized problem in the restaurant industry, or is it just considered the normal state of affairs? What is the NYC Hospitality Alliance doing to combat it? AR: Food waste is a major problem in America and is recognized as such by many of the chefs and restaurateurs I work with, specifically in New York City. While we recognize the great work so many have done to address the issue, we know that there’s a lot more to do. Our organization is always happy to engage in discussions about reducing food waste, and we’ve worked with our members to educate them about organizations, techniques, products and services that can assist. FPC: ReFED said in a new guide for reducing food waste that for every dollar invested in food-waste reduction restaurants can realize about $8 in cost savings. Do you agree with this statistic, and, if so, do you think NYC restaurants aware – or convinced – that they could be saving money by reducing food-waste? AR: If this statistic is accurate, it’s another reason why restaurants should be focusing on reducing food waste. Restaurateurs are extremely busy, and they have limited bandwidth, so I encourage organizations that deal in food waste to keep up an active campaign to get more restaurants to participate. In New York City specifically, restaurants often have very limited space; so composting or installing anaerobic digesters has posed logistical issues for some. I believe that as more and more restaurants understand the scope of the issue, they will work to be part of the solution. FPC: There were some significant problems related to food safety in 2018. Is the NYC Hospitality Alliance involved in any work to ensure that food safety standards are enforced in NYC restaurants? AR: We work with the NYC Department of Health on food safety policy and to support programs. We also host food safety training for our members to learn how to comply with health department requirements and develop and implement food safety policies and procedures for their restaurants. Food safety is incredibly important and must always be a major focus of a restaurant’s operations. FPC: What are some major challenges restaurants face when trying to reduce their waste? Department of Sanitation regulations mandate that commercial businesses separate and put their food scraps and organic waste to beneficial uses (i.e., composting, anaerobic digestion, or food rescue and donation) instead of sending it to landfills as trash. 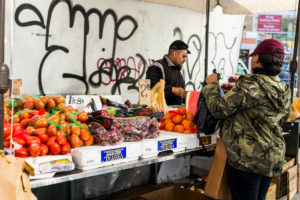 The NYC Hospitality Alliance has been a strong supporter of initiatives to reduce food waste but has had some issues with the Department of Sanitation’s latest regulations. What were your concerns? AR: We were concerned with the expansion of the mandate, because some of our members experienced aggressive enforcement of the regulation. For example, one member received a fine of several hundred dollars after an inspector found one onion peel in the wrong garbage. We believe that the government needs to focus on education and training first and fining businesses as a last resort. Especially if they want to get buy-in from restaurants for the right reasons, and not just minimum participation from businesses trying to avoid penalties. FPC: Are there any new partnerships between restaurants and food policy nonprofits that you are excited about? AR: I’m excited for more restaurants to get involved with the Billion Oyster Project, a great organization that will be presenting at our 2019 State of the Industry Conference. Their mission is to restore oyster reefs to New York Harbor through public education initiatives. The team works with many of our restaurant members to pick up their used oyster shells and restore them. Restoring oysters and reefs over time will rebuild the local marine ecosystem’s natural mechanisms for maintaining itself, resulting in cleaner water and greater biodiversity. As a child you wanted to be: On the Yankees or playing in the NBA. Your proudest moment? Whenever I watch my 3 ½ year old daughter interact with the world around her. What’s your motto? Don’t talk about it. Be about it. What is the best advice you have been given? Life is about showing up and putting yourself out there. Background and education: I completed some college and graduated from culinary school. One word you would use to describe our food system: Wasteful. Food Safety hero: I don’t have one, but Marvel should create a food safety hero. Your breakfast this morning: Yogurt, berries and granola. Favorite food: Branzino and vegetables. Your healthiest habit: Eating fruits, vegetables and exercising regularly. Food Safety newsletter, website or book you can’t stop reading: It’s usually a section of the health code that I need to read for work. The Bottom Line or Consumer Demand--Which is Driving Food Transparency?